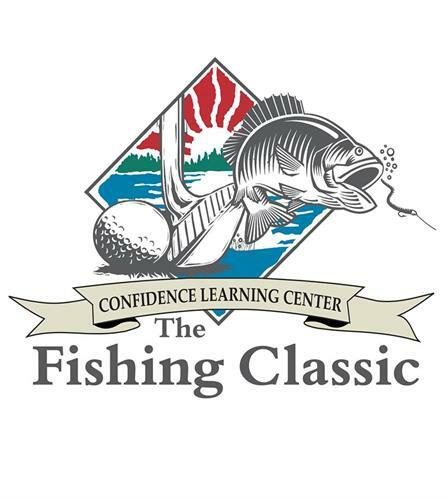 The Confidence Learning Center’s Camp Classic Events are the largest fundraising event put on each year in-house by the staff (and many volunteers) of Confidence Learning Center! Each year on the 3rd weekend of June friends and supporters of Camp gather together to celebrate all through a variety of events including golf, fishing, an Italian dinner, silent & live auctions, raffle tickets and more! It is a time to celebrate, and we ask you to join us! 2019 marks the 46th Anniversary for our Golf Classic and the 36th Anniversary for our Fishing Classic! We are excited to celebrate on the weekend of June 14 & 15, 2019 and we hope you can join us! There are multiple ways to participate in this year’s event; below is a summary of our events, and included in this package is more information and registration forms! The kick off to the Camp Classic weekend events, this 18-Hole golf scramble is held at the prestigious The Classic at Maddens. This beautiful course boasts a challenge unlike any other you will find in the Brainerd Lakes Area. New back in 2013, the 9-Hole Golf Scramble caters to individuals who may not be able to golf the full 18-hole course. This event was a great addition to the Camp Classic Events and enjoyed by many! Started by John Mariucci, this Italian feast is an evening for food, music, laughter, fun and more! We invite each participant of the weekend’s events to join us, along with any other supporter and friend of Confidence Learning Center! The Fishing Classic boats take off Saturday morning at 8am from Maddens Lagoon and finishes with a weigh-in and shore lunch! This is a chance to fish with some of the greatest fishing guides there is to offer!